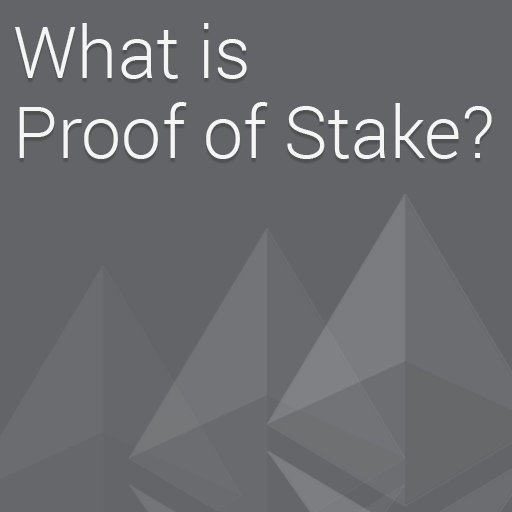 What does Proof of Stake mean for Ethereum? One major issue with Ethereum mining is the high consumption of power. Processing transactions costs an ever-increasing amount of electricity which is not only bad from a financial perspective but also bad for the environment. The main concept used in cryptocurrency mining is proof of work (PoW) which means miners get rewarded when they solve puzzles to validate transactions and create new blocks. Though it works and is used by the majority of cryptocurrencies, there is a need for a lot of computing power for new transactions to be verified. According to an approximation done by Vitalik Buterin who is the founder of Ethereum, it uses electricity costing up to $1M daily in order to process daily transactions. Since mining is becoming less financially feasible over time the founder proposed switching to a different concept as an alternative to proof of work called proof of stake. As opposed to proof of work where miners have to solve complicated algorithms to validate a transaction, in proof of stake miners are those that are willing to stake part of their cryptocurrency on the blocks they think should be added to the blockchain. Proof of stake depends on validator’s economic stake in the network. In a PoS based blockchain, miners who are the validators have their own turn in voting and proposing the next block. The weight of the vote of the validator will depend on their stake in the network which is basically the deposit of cryptocurrency they have. The blockchain will keep a record of validators and those who hold the blockchain’s base cryptocurrency. If one holds the blockchain’s base cryptocurrency they can easily become a miner or a validator as all they need to do is to give up their ether into a locked deposit through a special type of transaction. They will then participate in a consensus algorithm to create or agree to new blocks where all validators participate in. Since there are many ways in which rewards are assigned to validators, there are different kinds of consensus algorithms and hence different kinds of proof of stake. There are mainly two types of proof of stake: Chain based proof of stake and BFT-style proof of stake. This is whereby validators are pseudo-randomly selected in time slots for example after every ten seconds. The validator can then create a single block which must be linked to the previous block and with time the blocks become a constant growing chain, hence the name chain-based. Unlike the chain based proof of stake, here validators are randomly selected to propose which blocks will be added. The validator will then vote which block is canonical then finally agree on whether or not any given block is part of the chain. As opposed to the chain based proof of stake where a new block depends on the previous block, in BFT style proof of stake the blocks may be chained together but does not depend on the previous block. Energy efficiency: As mentioned earlier, the main reason for starting proof of stake is creating more efficiency. With PoS there is no need of high computing power in order to validate transactions thus less hardware and electricity costs. More energy efficiency means that there are less mining fees needed since miners do not need a lot of fees to keep them motivated to participate in the network. This therefore will eliminate the need for transaction fees. Proof of stake reduces the risk of centralization: With proof of stake, there are lower chances of centralized cartels forming or if they already exist stops them from being harmful to the network. It uses game theoretic mechanism design which reduces centralization risks. Economies are much less of an issue as your returns will be determined by what you have. Proof of stake in a way helps in increasing security since it uses economic penalties which makes most attacks more expensive as compared to proof of work since something like a 51% attacks would be more expensive. As much as proof of stake has many advantages and may be the savior of the Ethereum network, it may also have negative effects. Validators are likely to lose their stake if they validate a fraudulent or incorrect transaction hence there are less fraudulent transactions that are likely to happen making the network safer. Once the proof of stake is successfully implemented, there will be a total change in the world of crypto blockchain. There is a high likelihood the market will be responsive positively since it is clear there is more to gain. There are chances there are hard fork which will lead to a split of the Ethereum blockchain. This is likely to cause high volatility which may affect the prices of Ethereum which may either have positive or negative effects. Negative such that it will drive out investors and positive such that it may lead to an increase in the value of Ethereum leading to growth of the currency. When Ethereum switches to proof of stake from proof of work, there is a high likelihood that there will be an increase in the number of miners since it is a form of investment that is not as demanding. There are chances however that there will be no need of creation of new ether since there is no need for compensating miners reducing the supply of Ether which may either increase or decrease its value depending on the market conditions. Existing holders of Ether however have an advantage since they can stake their money for more. Proof of stake is likely to be officially implemented in 2018 in Ethereum’s Casper Update. Let’s see what happens!